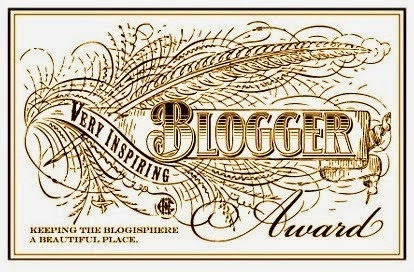 I have been nominated for the Very Inspiring Blogger Award by emhasrednails. Thank you very much. 4. Nominate fifteen other amazing blogs and comment on their posts to let them know they have been nominated. 1. My favorite song I currently love is Deeper Deeper by One Ok Rock. 2. My favorite color is hot pink. 3. I graduated high school in 2013. 4. I love photography and drawing. 6. My favorite types of music are rock, metal, Korean pop music, Japanese rock music and there are a one or two artists I like in pop music. 7. Two of my best friends are my amazing dogs, Minnie and Rocky. Awww thank you! :) I appreciate it. Congrats! You're an incredible photographer and definitely deserve it! Thank you!!! This is awesome, I'm so grateful. Yay! I'm going to celebrate this by going shoppin, lol. Here's my post: http://marshmellowbyeva.blogspot.com.es/2014/05/very-inspiring-blogger-award.html Thank you again!